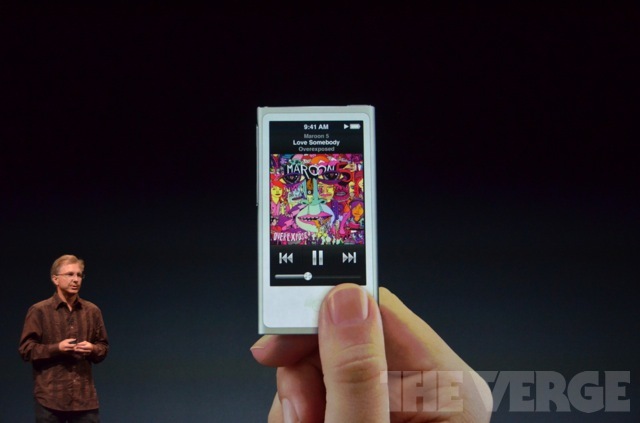 At just 5.4mm, the new, seventh-generation iPod nano is a whopping 38 percent thinner than its predecessor. Despite the slimmer body, the new nano sports Apple’s shrunken down dock connector, now called the Lightning connector. 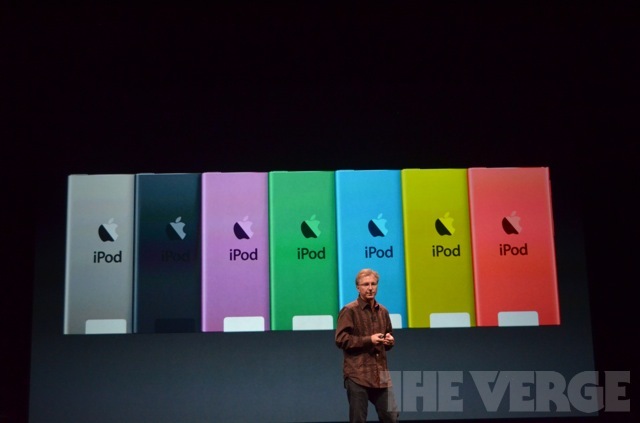 And here are the colors. First we want to give it a large display. Give it nice controls. Make it thin and light. And of course, the Lightning connector. 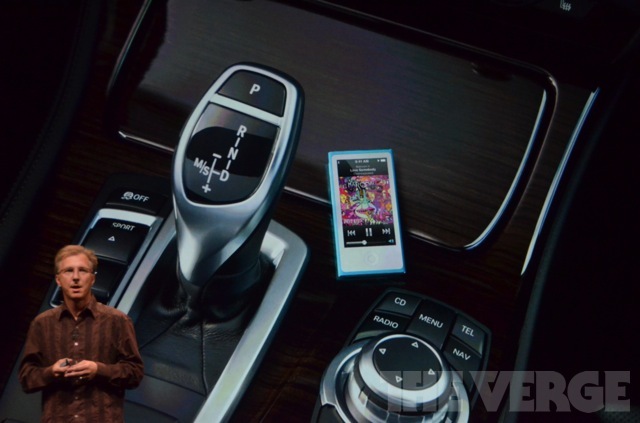 Of course, the new nano still has multitouch user interface and they’re bringing back video to the device. It’s widescreen video — and it uses every pixel. The interesting new volume control rocker is on the left side of the device, with the middle section acting as the play/pause control. The device also has fitness and pedometer built right in, Bluetooth networking (“one of the biggest requests we’ve had”) and it’s got “the longest battery life we’ve ever had in a nano”. 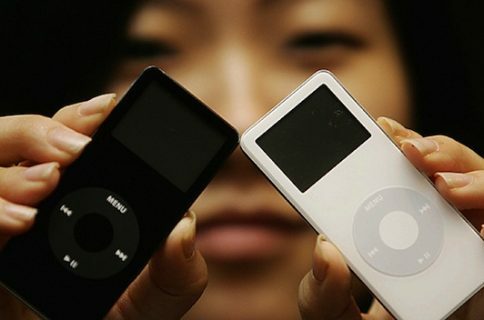 The new nano costs $149 for sixteen gigabytes of storage and is available the following month. 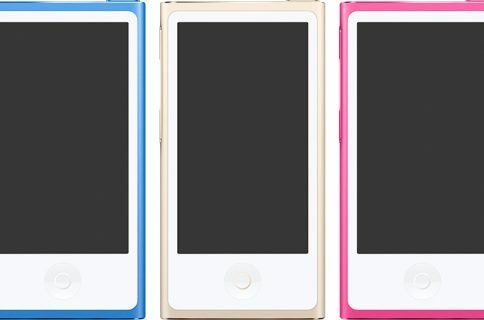 Are you liking the new nano?